Herbalife is a diet, nutrition, and supplement company created by Mark Hughes in 1980 as a way to provide nutrition and weight management products to consumers and to offer opportunities for entrepreneurs seeking ways to make a few extra bucks. The diet plans incorporate healthy eating practices with Herbalife products (such as protein, fiber, and multivitamin supplements) and one-on-one health coaching services from independent Herbalife distributors. The diet doesn't focus on calorie counting, but rather structured meal plans with meal replacement shakes. The diet is touted as a well-balanced, low-calorie eating plan when you're using it for weight loss. However, you can also reap benefits of Herbalife to manage a healthy weight or even gain muscle mass. Dietary supplements are encouraged as a way to boost nutrition and fiber intake to optimize health. Additionally, protein shakes and fiber supplements can help boost satiety, which is beneficial during weight loss. Herbalife's diet structure includes the following. 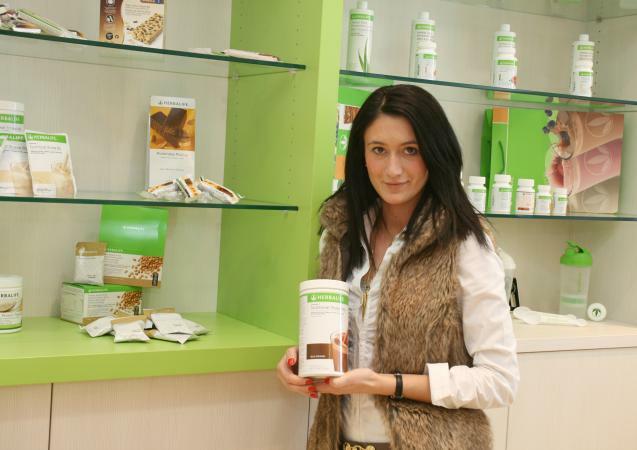 If you wish to maintain a healthy weight, these are Herbalife's recommendations. When choosing Herbalife for your weight loss (or other weight management) needs, you'll have access to your distributor's nutrition and fitness expertise anytime you need it. Independent distributors have been trained by Herbalife regarding weight management plans and products but aren't required to have professional nutrition or fitness credentials. Below is a sample of what an Herbalife daily weight loss meal plan looks like. When it comes to snacking, choose one fruit and one protein food from the following list to help stabilize blood sugar. You can count calories when using the diet plan, but you don't have to. The company provides you with the nutrition tools you need to make smart decisions about healthy eating by simply following nutrition tips and recommended meal plans. However, counting calories may make the diet more effective for you. Herbalife recommends you don't drop below 1,200 calories daily during weight loss. You may pay $100 per month (or more) to follow Herbalife's weight loss diet because you'll be buying the plan plus Herbalife shakes and other supplements. However, the exact monthly cost to you will vary based on the plan and products you choose. 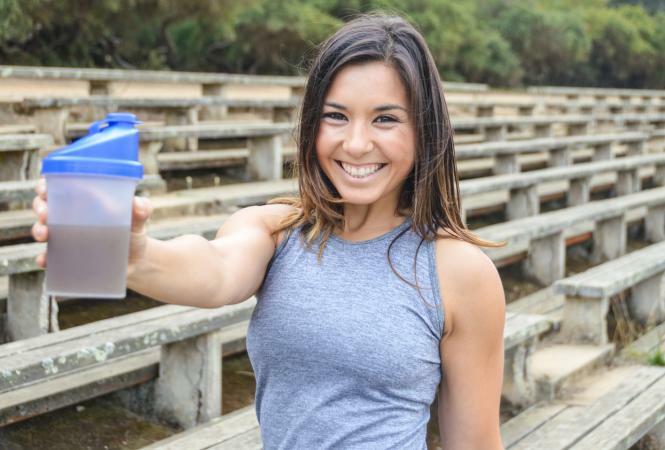 Herbalife can help you shed pounds if you're sticking to the plan, which is a reduced-calorie balanced diet focusing on protein-rich meal replacement shakes and other dietary supplements. Registered Dietitian Abby Langer says that while the diet can help you shed pounds, it isn't necessarily sustainable long term and expensive supplements aren't needed for effective weight loss. Customers on Consumeraffairs.com gives the Herbalife plan a 3 out of 5 star rating; while some were highly satisfied, others complained of upset stomach, lack of energy, headaches, and dizziness. More research is needed to determine how effective the plan really is and if it's safe for long term use. As with any type of fad weight loss diet, the Herbalife plan comes with pros and cons. It can help you lose weight, it provides a structured easy-to-follow meal plan with health coaching, and meal replacement shakes are convenient when you're always in a hurry or on the go. However, you may feel hungry when following the plan, get bored with drinking shakes, or experience unpleasant side effects. Additionally, Herbalife products can be costly. One study shows you may be putting your liver at risk when taking Herbalife supplements. The study, published in 2010 in the World Journal of Hepatology found that two patients who took Herbalife weight loss products had liver injuries induced by the supplements. Therefore, it's always best to chat with your doctor before following this diet plan. You don't need expensive diet supplements to safely and effectively lose weight. However, if your doctor gives you the okay, structured meal plans and shakes are appealing to you, and you don't mind forking over some dough, it might be worthwhile to give Herbalife a try.